PATNAKhamosh! The inimitable voice which once silenced the opponents has now become a thing of worry for the BJP in Bihar in this LS election. 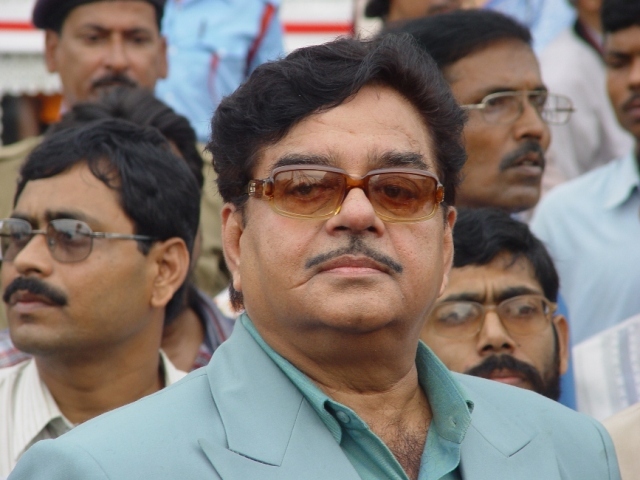 The scene has changed with Shatrughan Sinha, Bollywood actor-turned-politician, joining the Congress party after a prolonged verbal duel with the BJP— the party which he served for close to three decades. The fresh development has turned the battle for Patna Sahib Lok Sabha seat in Bihar quite interesting with Sinha now locked in a direct contest with his former BJP colleague and Union minister Ravi Shankar Prasad. No other party has won this seat except for the BJP since it came into being in 2009 after delimitation process. The reason why the BJP faces serious challenge in its stronghold is the contrast between the two leaders: While Sinha enjoys huge popularity among the masses for being a Bollywood star, has gift of the gab and more importantly has long experience to face voters, Prasad is a green horn in electoral politics having contested no any elections in the past. Further, Prasad has been mainly the Rajya Sabha member and faces the “outsider” tag for dedicating more time to Delhi politics although both the leaders hail from Patna. But that is not the lone worry for the the BJP. The problem for the saffron party is that both the candidates hail from the same upper caste Kayastha community which dominate the Patna Sahyib LS seat. There are some 4 lakh Kayastha voters in this constituency, so the maximum the split in their votes, minimum will be the chances of BJP leader’s victory. The continuing rivalry between two senior BJP leaders—Prasad and RK Sinha, both Rajya sabha Members and from the same caste —which saw pitched battle with supporters of the rival camp at Patna airport last month is yet matter of concern for the party leadership. The party now urgently requires to deftly handle the crisis. Although the BJP which corned about 30 percent votes in the last LS polls looks numiricaly strong after return of JD-U chief Nitish Kumar to the NDA and LJP headed by Dalit leader Ram Vilas Paswan still continuing in the ruling alliance but the ground situation looks entirely different. As such, the Bihar chief minister faces severe credibility crisis for his bizarre move to frequently switch sides in the past six years. The result has been that the common masses don’t trust him anymore. The opposition RJD headed by Lalu Prasad has already christened him as “Palturam” (Mr turncoat). Kumar had broken 17-year-old alliance with the BJP in 2013 to protest projection of Narendra Modi, then chief minister of Gujarat, as NDA’s prime ministerial candidate and continued launching anti-BJP campaign against the saffron party across the country for the next five years. He set another record in Indian politics when he joined hands with his acrh-rival Lalu Prasad by burying 20-year-old enmity to fight together 2015 assembly elections in Bihar which he won. Staying together for barely two years, Kumar has now again returned to the BJP camp, severing ties with the RJD chief whose support helped him win the state elections with historic two-third mandate. Kumar’s image is, thus, directly impacting the BJP in this polls as people don’t know how long he will stay with the saffron camp. On the other hand, Sinha looks stronger this time for being the candidate of the Congress which is now part of a six-party Grand Alliance headed by the RJD. Apart from the party’s traditional voters, Sinha today banks on the support of Yadavs and Muslim voters of the RJD, in addition to the Kurmis, Dalits and fishermen community for Upendra Kushwaha and Jitan Ram Manjhi also being part of the Grand Alliance. Sinha’s personal appeal is yet another advantage for him. Sinha had won the last LS polls with a margin of over 2.65 lakh votes, relying on his self campaigns. No senior leaders from the BJP campaigned for him in the last elections. “I requested Narendra Modiji not to campaign for me in Patna sahib and suggested him to rather focus on other constituencies. I didn’t invite Rajnath Singh, Sushsma Swaraj etc too and won with a huge margin of votes,” says Sinha. ALSO READ: All not well between chief minister Nitish Kumar, BJP in Bihar? The BJP, however, claims Sinha was able to win the elections owing to huge cadre votes of the party. So, it is to seen now how the BJP performs this time in Patna sahib when its former party star is now contesting against the former this time.